I want the answer to be yes. Oh, how much I want that! But scientific research shows it’s not true. Before I unpack that, though, let’s talk about trauma. I’ve written about it from an adoption and foster care perspective, but other kids experience trauma too. Repetitive hospitalizations can have traumatic effects, as can witnessing domestic abuse, being exposed to community violence, and experiencing a natural disaster. Previously, Steve has written about trauma and kids here. In one of his posts, he pointed out that a recent study of adolescent trauma reported that over 61% of U.S. teens had been exposed to at least one potentially traumatic experience (PTE). 31% had experienced multiple PTEs, and 18.6% reported experiencing three or more PTEs. While children who are or have been in foster care or who were adopted after infancy are more likely to have experienced multiple PTEs, this topic is not limited to adoptive and foster families. In other words, church, we have a great opportunity to love those affected by trauma! The need is great. Kids are hurting. Adults are too. Families are struggling. And the first step in being able to help is understanding the need. Jesus met people where they were, and so can we. Adolescents who have experienced maltreatment as a child process fear differently. Three parts of the brain are designed to work together to respond to fear: the prefrontal cortex that guides thoughts and actions, the amygdala which is the brain’s fear and emotion center, and hippocampus which balances communication between the previous two in assessing danger. For adolescent boys and girls who have experienced childhood maltreatment, the connection between the prefrontal cortex and hippocampus is weak, and for the girls specifically, the connection with the amygdala is also weak. The result for these youth is a heightened and persistent state of anxiety, as well as higher rates of depression. Furthermore, “when children experience toxic stress, their cortisol levels remain elevated for prolonged periods of time. Both animal and human studies show that long-term elevations in cortisol levels can alter the function of a number of neural systems, suppress the immune response, and even change the architecture of regions in the brain that are essential for learning and memory.” These outcomes can include impairments in learning, memory, and emotional regulation as well as mental illness and stress-induced physical illness. That said, every child is different in his or her response to trauma, so some kids might have little to no impact by major stressors while others can be significantly affected by more minor stressors. According to a paper from the National Child Traumatic Stress Network, early childhood exposure to trauma can result in the following outcomes: “(a) self-regulatory, attachment, anxiety, and affective disorders in infancy and childhood; (b) addictions, aggression, social helplessness and eating disorders; (c) dissociative, somataform, cardiovascular, metabolic, and immunological disorders; (d) sexual disorders in adolescence and adulthood; and (e) revictimization,” the latter often the result of difficulty identifying or responding to danger cues. In a study of Romanian orphans compared to other Romanian children, white and gray brain matter was reduced among children who had ever been institutionalized, even for those who had since moved into high quality foster care (though those children did have an improvement in white brain matter development). The good news? Research shows that both behavioral and biological changes due to trauma can be improved (though not erased) by exercise, healthy nutrition, safe touches (like massages), multisensory environments, reduction in a child’s fear, allergy management, positive and rewarding experiences, and research-driven interventions like TBRI (The Connected Child, Ch. 10). Additionally, some kids are not as affected by trauma as others. While we don’t know all the reasons for that, here are some. Furthermore, neuroplasticity – that is, the brain’s ability to change – studies show that love and care can reverse some of trauma’s effects. In the same Harvard working paper I quoted from in the second and third bullets above, the news isn’t all bad: “Positive experiences after infancy in young animals, such as being exposed to an environment rich in opportunities for exploration and social play, have been shown to compensate to some degree for the negative behavioral consequences.” So, yes, love can heal. However, those researchers go on to emphasize that neuroplasticity is not unlimited and that many changes are irreversible. Finally, we believe in a God for whom nothing is impossible. He can heal anything, so can Love – with a capital L, because God is Love – heal all past pains? Yes. And will he be faithful to do that? Certainly. But scripture and experience teach us that God doesn’t always extend that miracle on this side of heaven. So as we live out our lives and love dear ones who have gone through things no child should, we love because God first loved us. 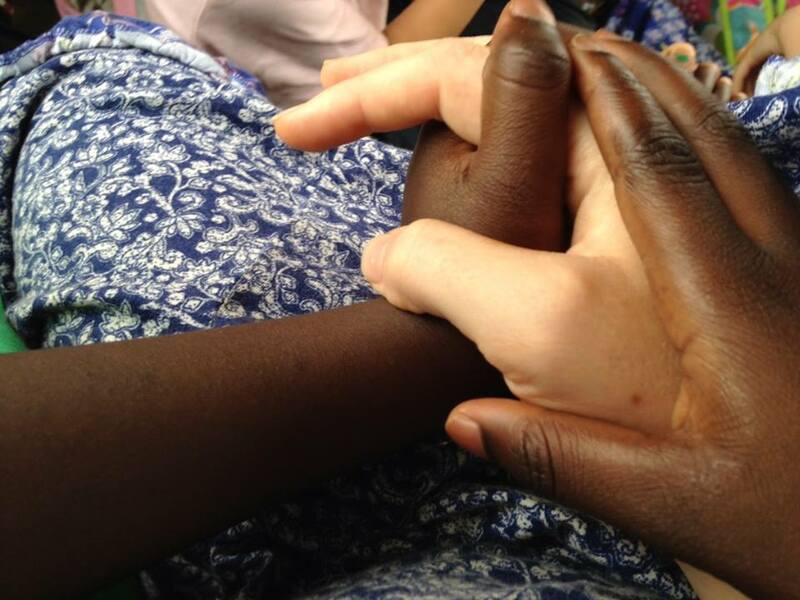 And while we pray for healing to come and trust that it will one day, here or in heaven, we keep on loving. Because that’s what our kids need, and that’s what our Father has modeled for us as parents (and as church leaders partnering with families like mine). Shannon Dingle provides consultation, training and support to pastors, ministry staff and volunteers from churches requesting assistance from Key Ministry. 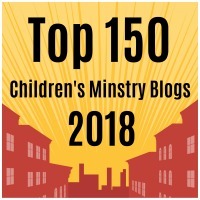 In addition, Shannon regularly blogs for Key Ministry on topics related to adoption and foster care. Shannon and her husband (Lee) serve as coordinators of the Access Ministry, the Special Needs Ministry of Providence Baptist Church in Raleigh, NC. 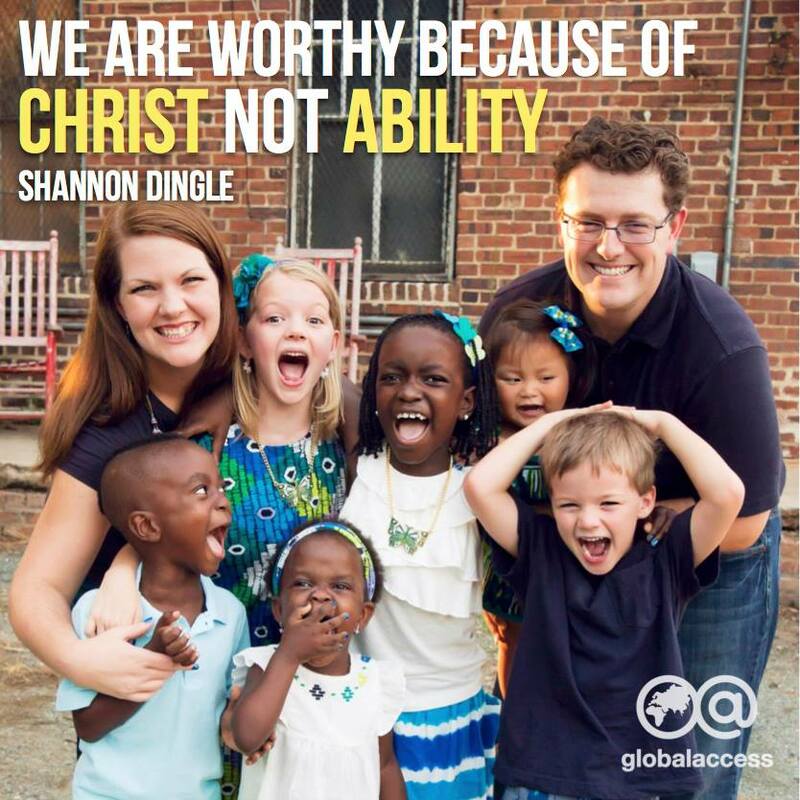 Shannon with be speaking at the 2015 Global Access Conference sponsored by Joni and Friends in Westlake Village, CA. 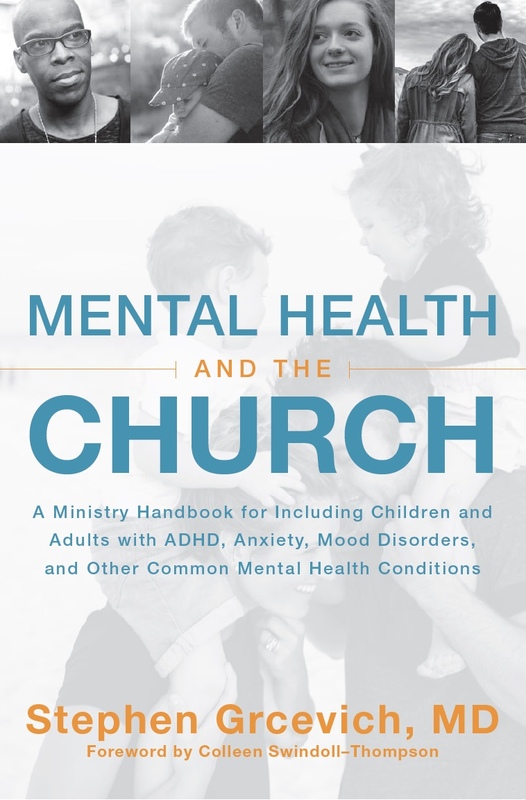 Key Ministry offers a resource page on Trauma and Kids to pastors, church staff, volunteers and families. 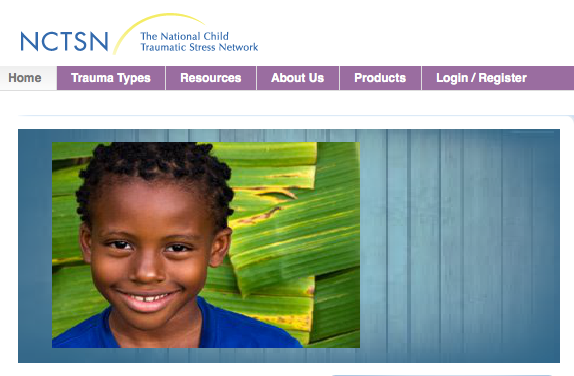 The resource page includes links to all of the posts from our Fall 2013 blog series, links to resources from Jolene Philo, the National Child Traumatic Stress Network and Empowered to Connect. Check it out today and share the resource page with others who would benefit. This entry was posted in Adoption, Advocacy, Foster Care, Hidden Disabilities, Key Ministry, PTSD and tagged Adoption, Adverse Childhood Experiences Study, church, disabiiity ministry, Dr. Karyn Purvis, Empowered to Connect, Inclusion, Key Ministry, National Child Traumatic Stress Network, Shannon Dingle, Stephen Grcevich MD, The Connected Child, trauma. Bookmark the permalink. 6 Responses to Does love heal all wounds from childhood trauma? Thanks for a great post on an important topic, Shannon. Parents of kids dealing with unresolved trauma need to know there is much hope for their children. Treatments and understanding of trauma is expanding daily. A good trauma therapist, using techniques that access and help process non-verbal memories, can make a great difference in the lives of children. Absolutely. I feel like there’s such a fine line in this, the expressing of hope and treatments and therapy balanced with the differences in our brains and bodies and behaviors due to previous trauma. We need to talk about both, not just one. Well researched, thought out and written. Great post, thanks for sharing!